Eurosonic Noorderslag is proud to announce the first speakers and panels of its daytime programme. The event takes place in Groningen, The Netherlands from January 14th to 17th, 2015. Since June 2014 Duncan Stutterheim has been Chief Executive Officer of SFX Europe, part of SFX Entertainment Inc. Duncan is one of the co-founders of ID&T. Read more. The fusion of the Paradigm and Coda agencies brought together two of the hottest talent houses. Their respective heads – Marty Diamond for Paradigm, and Rob Challice for Coda – will be discussing their personal histories in the concert business, while also commenting on the many implications of the deal. Read more. Tour manager of Guns & Roses, Smashing Pumpkins and Nirvana, and a touring accounts specialist. Since he started in the live music industry in the late 1980s, he has worked with an incredible list of top-flight acts from across the musical spectrum. Read more. These sessions are an opportunity to get up close and personal with some of the most experienced and well known international music professionals. First names confirmed are Crispin Hearn (Primary Talent International) and Terrie Hessels (The Ex). Read more. Following the success of last year’s sessions, the GO Group will once again be presenting a series of panels focussing on the green/sustainable issues created by music events. Read more. Iceland has been nominated as the focus country for the 2015 edition of Eurosonic Noorderslag. Each year the event highlights a different country in order to showcase the diversity and depth of musical talent across Europe. Eurosonic Noorderslag is the key exchange and networking platform for European music, with a proven track record for helping to break new acts on the international live music scene. 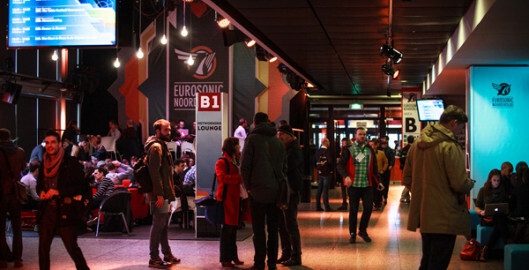 A sold-out event for many years, Eurosonic Noorderslag attracts over 3,200 professional delegates, including representatives of over 400 international festivals. Eurosonic Noorderslag presents showcases by more than 300 acts alongside a conference programme featuring 150 panels, keynote speakers, interviews, workshops, dinners, pitches, parties and meetings covering the latest developments in the international music, media and interactive industries. Eurosonic Noorderslag has been responsible for kick-starting the careers of European acts like Ásgeir, Benjamin Clementine, Birth of Joy, Coely, Emilie Nicolas, Ewert and the Two Dragons, George Ezra, Hozier, Jaakko Eino Kalevi, Jungle, Kadebostany, Larry Gus, Mighty Oaks, Milky Chance and MØ. Find more information on www.eurosonic-noorderslag.nl. Conference registrations can be purchased through www.eurosonic-noorderslag.nl. The start of ticket sales for the festival programme will be announced this autumn.